Berlin has a bit of a scruffy, rough-and-tumble reputation, which means that the city most often gets attention for assets like its street art, urban style, and bars and clubs. But the truth is, the capital has a fresher, very green side to it as well, and I'm not just talking about parks - of which Berlin has plenty. I mean communal gardens, a concept that has grown - pun intended - in popularity these last few years. These gardens are more than just places to grow a few veggies or flowers: they're urban oases and places for the community to gather, and are oftentimes tied to passionate environmental and social initiatives as well. Even if your thumb isn't the slightest bit green, however, these gardens scattered throughout the city are idyllic places to chill out and rejuvenate in nature, and perhaps try out some of the freshly grown bounty. Image by SnippyHolloW via CC BY-SA 2.0 licence. Kreuzberg's Prinzessinnengarten (Prinzessinnenstr. 15) is quite possibly the one that kick-started the current urban gardening trend in Berlin. When it opened back in 2009 on an abandoned lot right next to the Moritzplatz roundabout, its gardening concept was considered pretty unique. Inspired by a DIY spirit, the team of volunteer gardeners uses recycled materials like wooden pallets, plastic crates and old sacks to create mobile vegetable beds that can be moved to a new spot if necessary. All these years later, Prinzessinnengarten is more popular than ever, and hosts concerts, flea markets, workshops, film nights and other events on the bucolic premises. 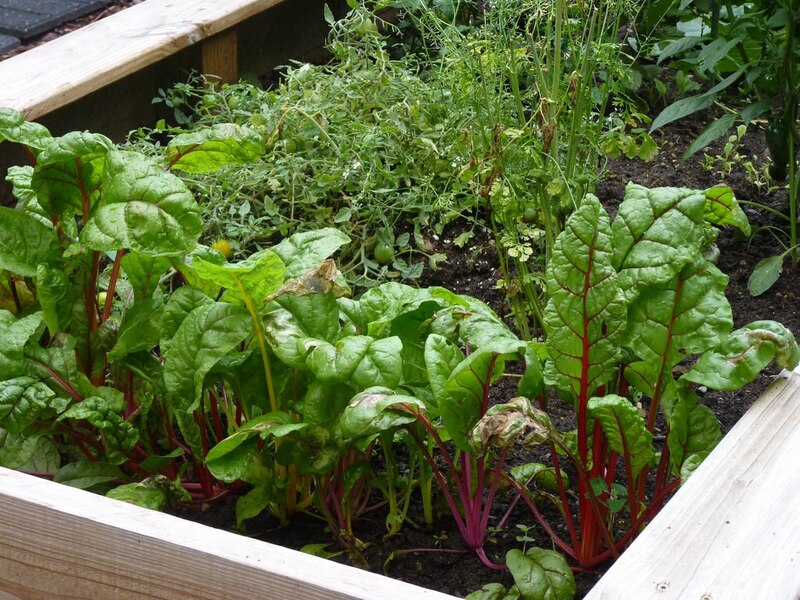 Thursdays and Saturdays are open gardening days when anyone can drop in, help with the weeding and maybe harvest something to take home, and the on-site café is open every day serving light meals and snacks made with garden produce. Image by normanack via CC BY 2.0 licence. The Himmelbeet garden in the northern district of Wedding (Ruheplatzstr. 12) has a very similar concept; though as it's less centrally located than Prinzessinnengarten, it readily retains its peaceful neighbourhood feel. Scores upon scores of lush garden beds line the sizeable Himmelbeet plot, each one teeming with organic vegetables and herbs, many of them regional, heirloom seed varieties. The garden café is an inviting spot for a snack or refreshment in the sun, and there's a vegetarian brunch every Sunday during the summertime. There are regular workshops on topics like sustainability and vegetarian cooking, and they even keep beehives in the garden and harvest honey every year. Image by miss_yasmina via CC BY-SA 2.0 licence. 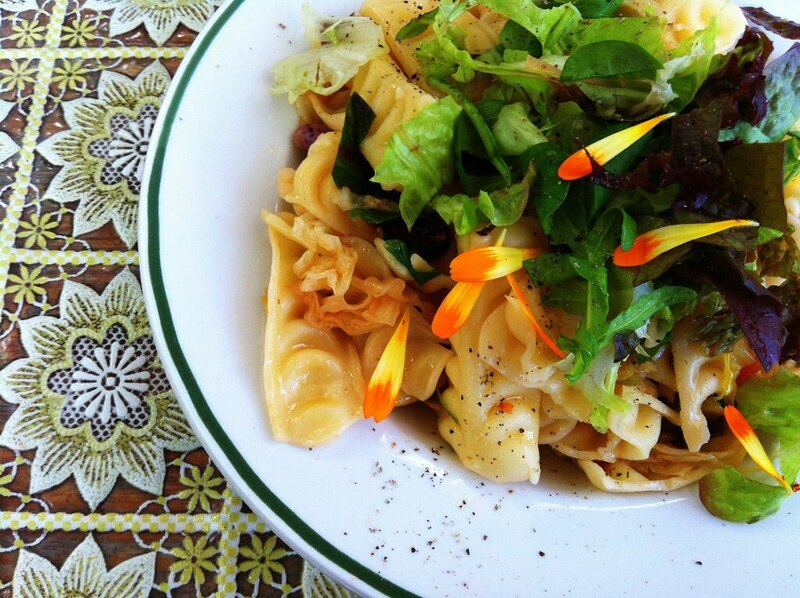 Though it's on privately owned land, unlike the previous two gardens, Café Botanico in Neukölln is passionate about permaculture gardening and welcomes visitors to check out their sprawling piece of pastoral paradise on regular garden tours (Richardstr. 100). The café itself, which uses fresh produce grown in the garden whenever possible, is open for lunch and dinner every day except Monday. As the owners are Italian, the dishes have a pretty Mediterranean bent, like minestrone soup made with whatever's in season and orecchiette with a wild and tasty smattering of unique herbs. Another courtyard garden - though quite a bit smaller than Café Botanico's big one - is Buchholzberlin in Mitte (Joachimstr. 20). The space is primarily used as a studio and shop for custom-made, handcrafted (and very beautiful) wood items, like stools, tables, cutting boards, trays and candle holders. But tucked into the backyard is a secret garden, where, if you're lucky enough to secure a spot at one of the tables, you can try various flatbreads topped with things grown in the bed right next to you. Image by onnola via CC BY-SA 2.0 licence. And last but not least, I couldn't write about urban gardens in Berlin without mentioning my favourite: the Allmende-Kontor gardens at Tempelhofer Park, the enormous, 355-hectare expanse of land where planes used to take off and land for Tempelhof Airport. 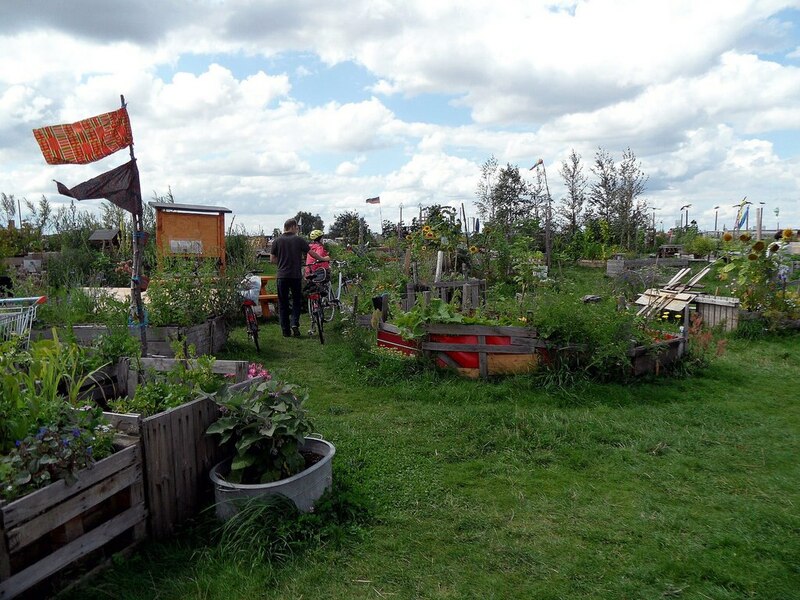 On the eastern edge of the park, closest to Oderstrasse, a makeshift garden network has popped up over the last few years, with hundreds of raised garden beds cobbled together out of recycled materials. I've even seen plants growing out of old boots and broken typewriters. 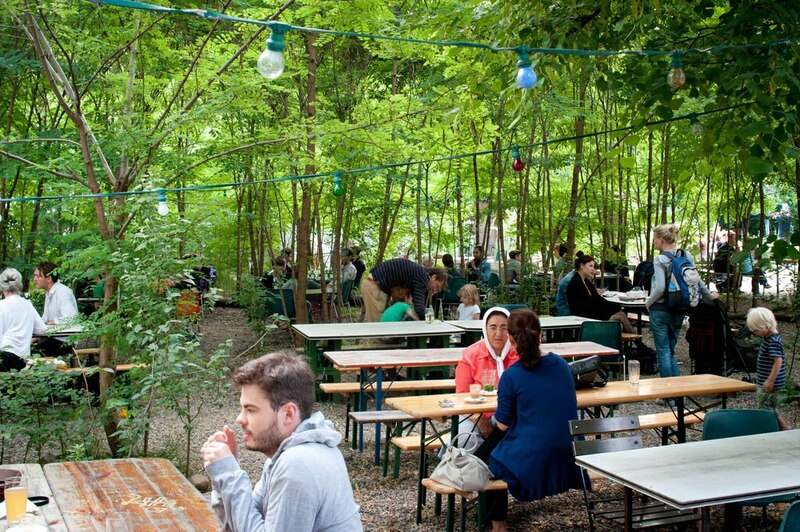 The garden, which has a chilled-out, ramshackle appeal, is open and freely accessible to all. On warm summer evenings, it's the perfect spot to watch the sunset, have a drink and experience Berlin's greenest side. Want to discover the city's urban gardens for yourself? Take a look at our Berlin hotels to find the best deals.